Have you ever thought of making money online just by doing easy-to-do work and promoting products online? If yes then that’s what we call Affiliate Marketing and what you need to do is go through the Affiliate Marketing 101 Infographic below to learn almost all the basic things about Affiliate Marketing. Affiliate Marketing is a way to make money on autopilot online out of all other techniques and ways. Probably you have also seen and heard about a lot of people and Bloggers who are making their living through Affiliate Marketing and which has changed their living & style. 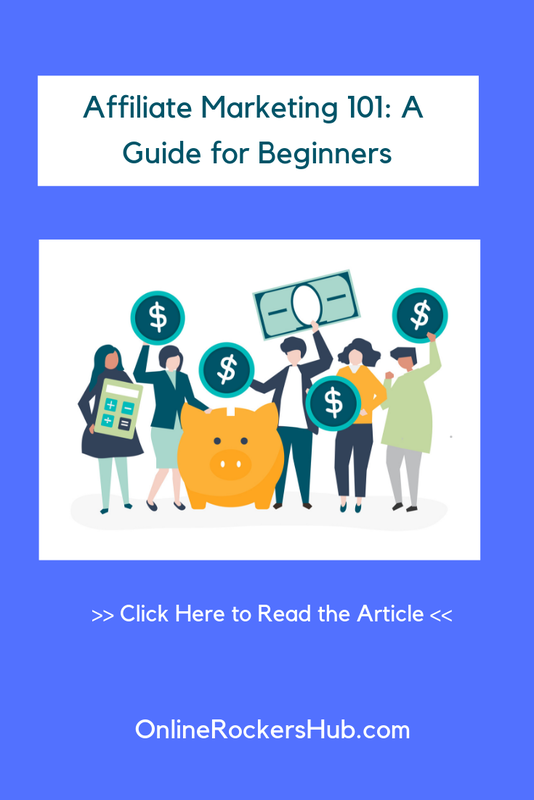 So today in this post, we’ll walk you through the below Infographic which was designed by Blogging Scout that has all the basics of Affiliate Marketing that you wanted to know about. What is Affiliate Marketing & How to Get Started with It? How to Join any Affiliate Program or Network? Here is the infographic on Affiliate Marketing 101. If you wish to use this infographic on your website, then copy and paste HTML code given below this infographic. Affiliate Marketing is not as easy as it seems but what works is using the techniques that many of the Bloggers, Affiliate Marketers & Gurus are using out there right now which help them outrank their competitors and make money by monetizing their blogs through Affiliate Products. So Affiliate Marketing is all about promoting products and earning a commission for each sale or customer that you refer or referred by your unique Merchant provided link. 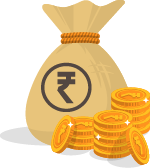 Almost every company online out there is offering Affiliate Program and some of them are offering Refer A Friend program which works the same but the earnings ratio almost varies between them. Now let’s talk here a little about how to get started with a company which offers an Affiliate Program and to start promoting Affiliate Products to make money for each Sale/CPA that you will refer. There are certain things that you must keep in mind before starting your own Affiliate Niche and then choose an affiliate program that you’ll then promote on your blog. Below are the few basic yet very important things that you must consider to check before you join any Affiliate Program. The Payout Method is a very important factor to look for before you participate in any Affiliate Program and start promoting their products because you need to make sure you receive your earning & commission through any company that you have access to and you can receive money through it easily such as PayPal, Payoneer etc. Also, make sure that you’re promoting a product or a service which has good reviews & is worth-promoting because promoting the wrong products won’t help you make any cent and you’ll waste your time without taking any benefits from your efforts. Another thing to consider is that what is the amount that you’ll receive/earn when you have referred a customer successfully. Every company offers various payout for each sale or referral so it’s also very important to check the Payout Amount that you’ll earn for each CPA or also known as Cost Per Action. Also, many of the companies use third parties Affiliate Networks to manage all of the Affiliate Marketing campaigns such as HostGator which is a hosting company uses Impact radius for its Affiliate Program so it’s important for you which network is being used. This is not important but it’s worth sharing here that a Merchant Support is very important in having a good relationship between you and the Merchant or the company you’re promoting products or services for. Reach out to the company either through Live Chatting or Email and test out their Customer Care Service. Last but not the least. You always need to read the T&Cs of each & every Affiliate Network or Program before you sign up for their Program because breaking the T&Cs of any company will result of your account termination no matter how much users you have referred or how much earning you have made with them. In this example, we’ll sign up for Payoneer Affiliate Program and get our unique tracking links & other banners from our account so that we can share them on our blog. So how it will work, we’ll learn here. Step #1: Go to Payoneer.com/affiliate-program. Step #2: Click on the Start Earning Now button to go the Affiliate Signup page. Step #3: Enter all the required details on the SignUp page including the methods & techniques that you’ll use to promote Payoneer. Please, note that you must provide correct details so that your account is approved otherwise your application will be rejected. Step #4: Give a few days so that your application is reviewed by the Affiliate Team and once your application is reviewed and accepted, you’ll receive an email from Payoneer and from that point, you’ll be able to log into your Affiliate Account. Step #5: Now log into your Affiliate Account using your username and password and get the tracking link from there to share it with your audience either on your blog, social media sites or on your Youtube channel etc. 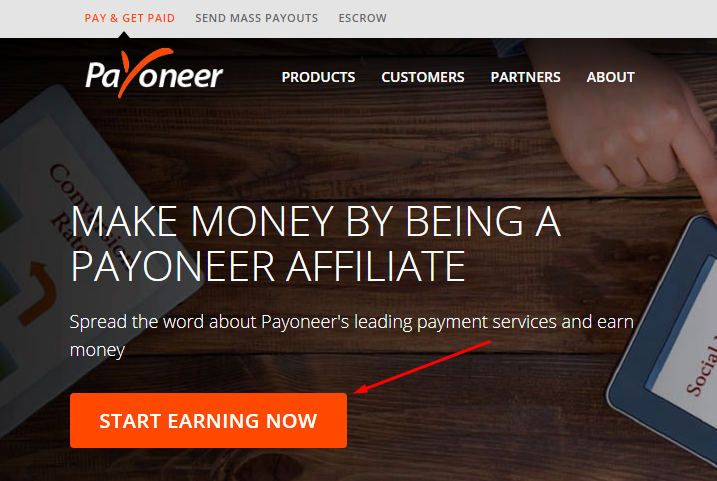 Now, anyone who signs up with Payoneer through your link and is confirmed by Payoneer, you’ll earn up to $25 for the first 10 customers and then your commission will be increased according to your Affiliate Account Performance. So that way, the more users & customers you refer to Payoneer, the better CPA you’ll get. 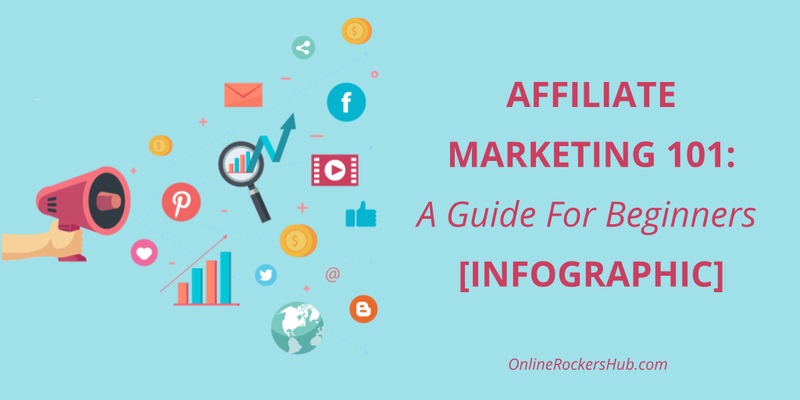 I hope this Infographic helped you master all the basic things about Affiliate Marketing. Still, do you think something out there is missing from this post or Infographic? or do you face issues signing up with any of the Affiliate Programs and Networks? Just drop your comment below and hopefully, we’ll be right here to send you a reply Back! Note: This is a guest post by Yasar Ali. You can also contribute your awesome content or Infographics at OnlineRockersHub by following our guest blogging guidelines.